Welcome to Budgetpulse, your new home for personal finance and money management. Budgetpulse is a free, simple to use, and highly secure personal budgeting web application (we'd call it free budgeting software, but there's nothing to download!) 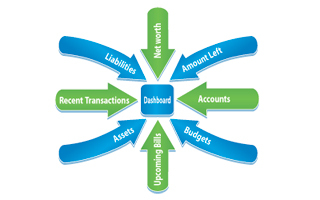 to help you better control your expenses, grow your assets, help you save, and drastically reduce your debts. With charts, graphs, and summaries to help you keep your finger on your budget's pulse, our unique tool makes money management and personal finance analysis intuitive, safe, and easy. 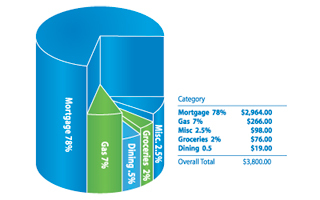 Budgetpulse enables you to divide your cash flow into categories, such as dining out, utilities, and car expenses for clear and efficient money tracking. Grouping and analyzing your incoming vs. outgoing money helps you to visualize a bigger financial picture, essential to maintaining a healthy budget. With Budgetpulse's easy-to-understand charts and graphs you can discover where savings can be made the only responsible way to operate in today's challenging economy. All in One: Convienient money management software that demands almost nothing from you (for a change). 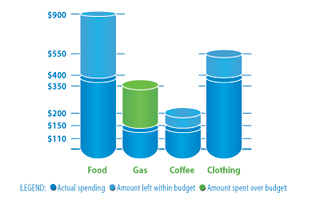 Budgetpulse enables you to control your personal budgeting all in one place. Track your cash flow, net worth, and account balances on a single screen, from anywhere and at anytime, and schedule payments so you never miss a bill. Note that Budgetpulse does not require you to download or sync any bank or credit card information, making it the safest budgeting and personal finance tool around. 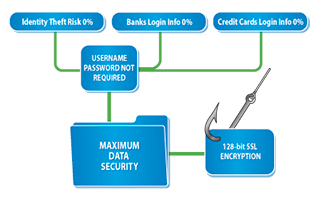 Safe, Secure & Protected: Personal finance software that protects you in more ways than one. Budgetpulse doesn't access your sensitive personal bank account details or credit card information, which many customers feel is too risky. Our easy to use money management software simply and securely imports the data from your financial statements, and is fully protected by VeriSign SSL encryption. Globally Savvy: The world of personal money management just got smaller. Budgetpulse is free personal budgeting software everyone can use for money tracking no matter where you live in the world. 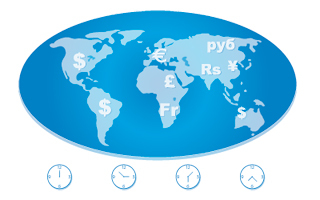 Simply personalize your profile with your preferred currency and time zone - our money management tool works in every country! Personal Savings Goal: It Takes a Village (What if gifts from friends and family were as practical and friendly as our personal finance software? They are). If you're saving for something important, like college, a wedding, or a baby, you can use Budgetpulse to allow your circle of nearest and dearest (who might otherwise buy you another useless thing) help you raise the capital you need to meet your goal. Share your dreams with friends and relatives by sending them a Savings Goal Requests by e-mail. 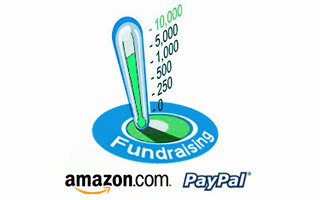 They can track your progress and make gift donations to help you realize them. It's like having your own personal gift registry, for any occasion! Free. Easy. Secure - Ready to Use. No downloads, No bank account information. Budget planning was never easier. Import from Quicken, Microsoft Money, Bank Statements, Spreadsheets, just about anything! Export your Budget data to other finance planning softwares or tools. Print graphs, reports and transacton details as PDF files. "This would be an ideal solution for solo enterpreneurs and anyone who likes to track finances. I can simply agree with the developers of this application on achieving their three main objectives; simplicity, user friendliness and comprehensiveness." "This proves that this is the best personal financial management system available on the web." "BudgetPulse is the website that I have been looking for a few years. An easy interface that allows you to track your expenditure and various ways in which to represent the date. It also allows you to view your expenditures in terms of the various categories. Move away Wesabe, BudgetPulse is the next best thing." "BudgetPulse has helped me track my expenses and income. Now I can really control my money, reducing overall spending and helping to stabilize my finances." "For me the killer tool is the chart view, it is very useful to know the percentage of money I spent." "Thank you for this great application!" "When I enter every transaction, it helps me to see where my money goes and keep track of how much is left in the bank." "BudgetPulse has helped me take control of my spending. As a young, single professor living in Toronto, I need all the help I can get with my finances. BP is non-intrusive and easy to work with. The charts and the budget tickers all help keep me on track." "I LOVE THIS SITE!! I've been searching for something like this that my husband and I can both access from work and home and this fits the bill perfectly! It lets me personalize as much as I want to and keeps me up on my account balances! THANK YOU SO MUCH!"